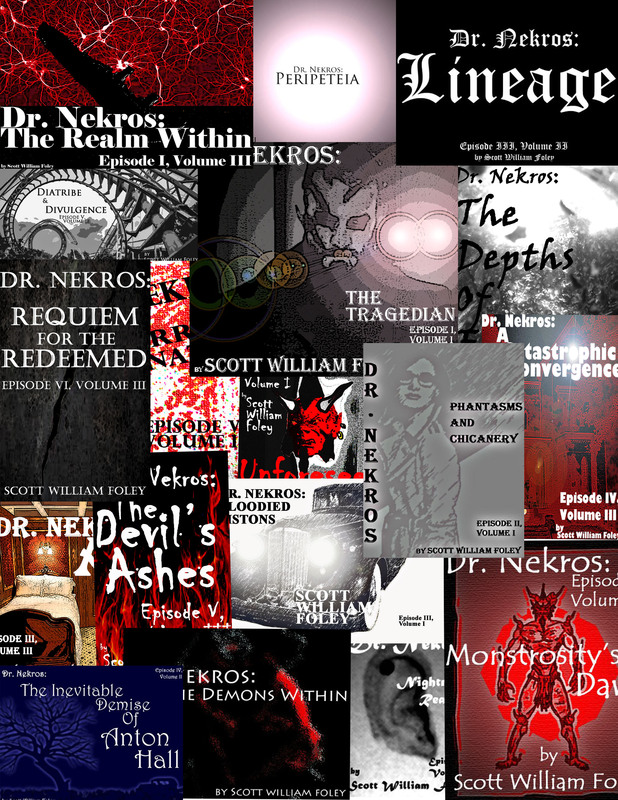 Between 2011 and 2014, I published a bi-monthly electronic serial exclusive to the Kindle called Dr. Nekros. I’m dead serious when I say he came to me in a dream and wouldn’t rest until I wrote his tale. I won’t lie, I started the serial without really knowing where it would lead. I had the first six episodes figured out, but the last twelve were an utter mystery. During a horrendous bout with the stomach flu, his story’s end came to me. Honestly, it’s an ending I didn’t ever expect, but it fits perfectly to both Dr. Nekros and his ample cast of characters. Frankly, this serial is one of those rare moments when I felt as though I merely acted as the conduit. These characters were in complete control. Though Dr. Nekros dances in the world of the occult, it primarily occurs in the world we know and features very real people. There are husbands and wives, mothers and sons, uncles, aunts, grandparents, brothers, sisters, and friends only death could separate. They deserve your readership. They want you to experience their plight. They will make you laugh, they will frighten you, they will make you despair, and they will reaffirm your faith in hope. If you have a Kindle, you can download all 18 episodes now. Don’t have a Kindle? The App is free for your computer or mobile device. Find all the episodes HERE. Thanks so much for your time. I hope you enjoy reading Dr. Nekros as much as I enjoyed writing it. This entry was posted in Author News and tagged arts, creative writing, Dr. Nekros, electronic serial, entertainment, fiction, kindle, literature, read, serial.